I can’t believe I did it again! I was heating up some soup for dinner tonight, and I caught myself just staring into the microwave for about 20 seconds, like watching a bowl of soup spinning around in a circle is the most awe-inspiring event ever. Good grief. I Blobbed about this before…I just don’t get it. Why do I just stand there, watching it as if something incredible is going to happen, when I know that in 29..28..27..26 seconds, it’s going to be done. Can’t I find anything better to do for those 29 seconds?! 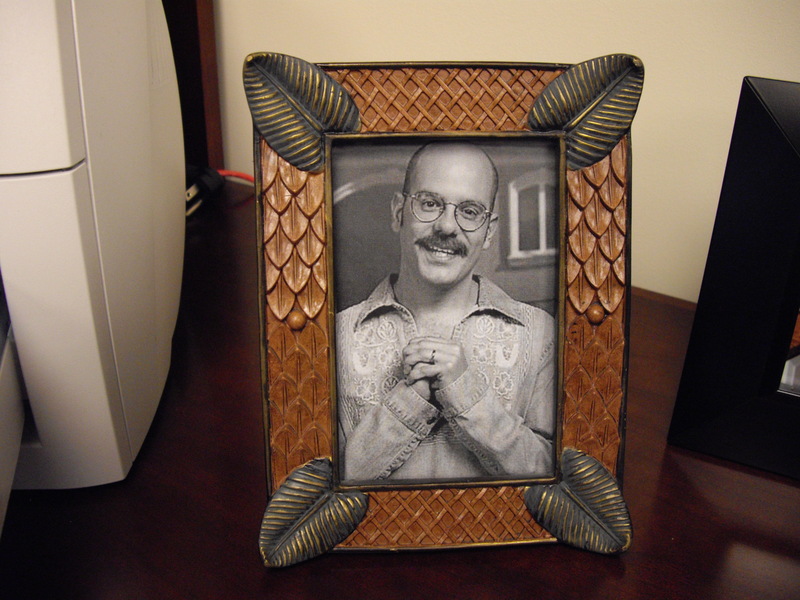 Hey, you’ve gotta check out the picture below…I recently Blobbed that my son has gotten me into Arrested Development. Well, he was hanging out with me in my office a couple days ago, and he stayed behind while I went upstairs to the studio to do the postgame show. That’s right…Dr. Tobias Funke (David Cross) from Arrested Development! My son had secretly replaced the one picture with this one. Classic! I laughed so hard I nearly fell outta my chair! Well done, Ty…well done. I seriously do the same thing when I have food in the microwave. and omg I blasted into laughter at that picture. Fantastic. I sometimes watch the food in the microwave to make sure it doesn’t splatter or spill over. The faster I see the mess, the easier it is to clean it and I hate cleaning! Your son obviously has a great sense of humor-that was a funny story. Sounds like the apple didn’t fall far from the tree! Congrats to Mark Buehrle! And to DeWayne Wise! Love watching History! !